We are pleased to welcome you to our website! 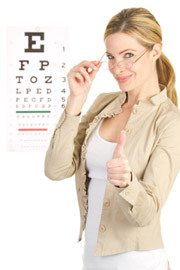 We look forward to the opportunity of serving your family's optometric needs. We have been helping Kingstonians for 15 years. Dr Minder offers various services ranging from pediatric examinations to adult geriatric eye care, low vision and the treatment and management of eye disease and visual disorders. We offer evening appointments two days a week to serve those who work in the day. Please browse our website for full details on our practice and the services we offer.